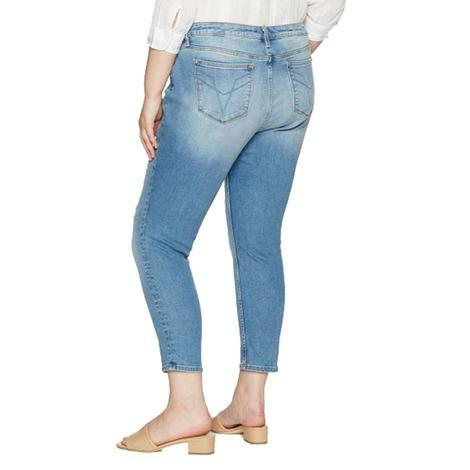 This dark wash jean by Vigoss features thick double v zig zag stitching on the back pockets with light fading thoughout the entire jean. 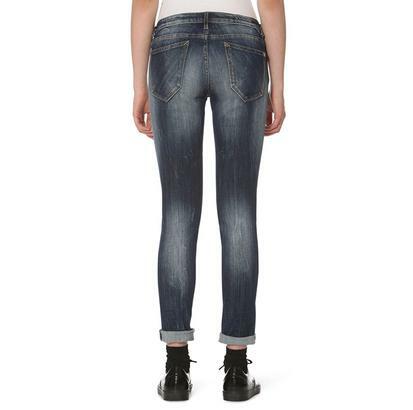 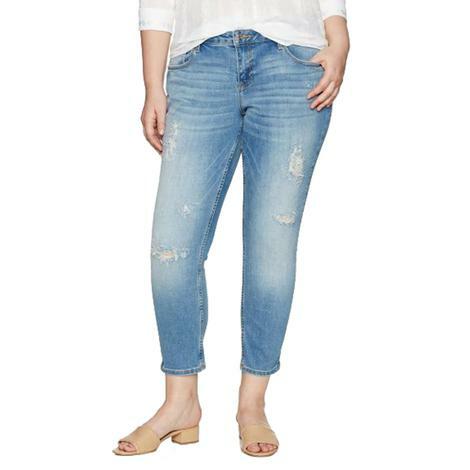 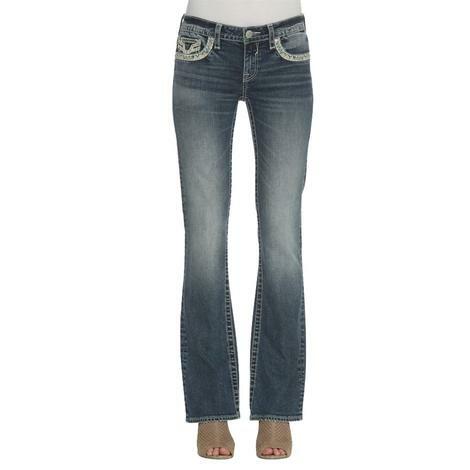 This jean styles stretchy cotton detailed with bold, jet-black top-stitching. 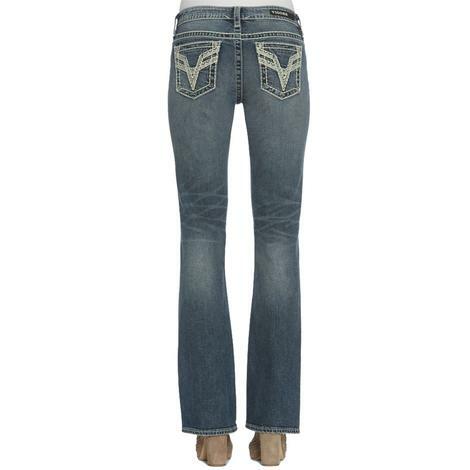 Zip fly with button closure. 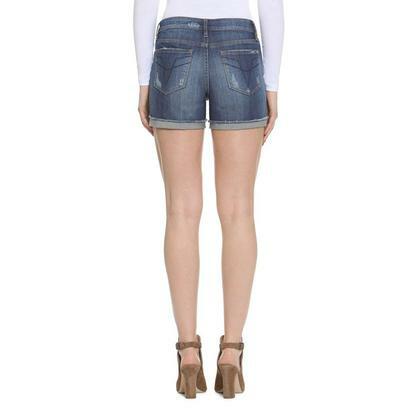 Captivating and friendly, these distressed denim shorts by Vigoss are screaming fun!